Made with a polyester fleece outer shell and lined with foam to prevent bowing problems cause by quilts that have binding around the edge. 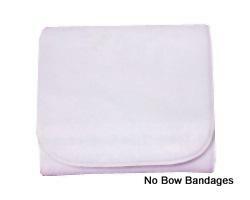 Use with standing bandages for support and to hold in place. Great for setting leg hair, machine washable & reusable.